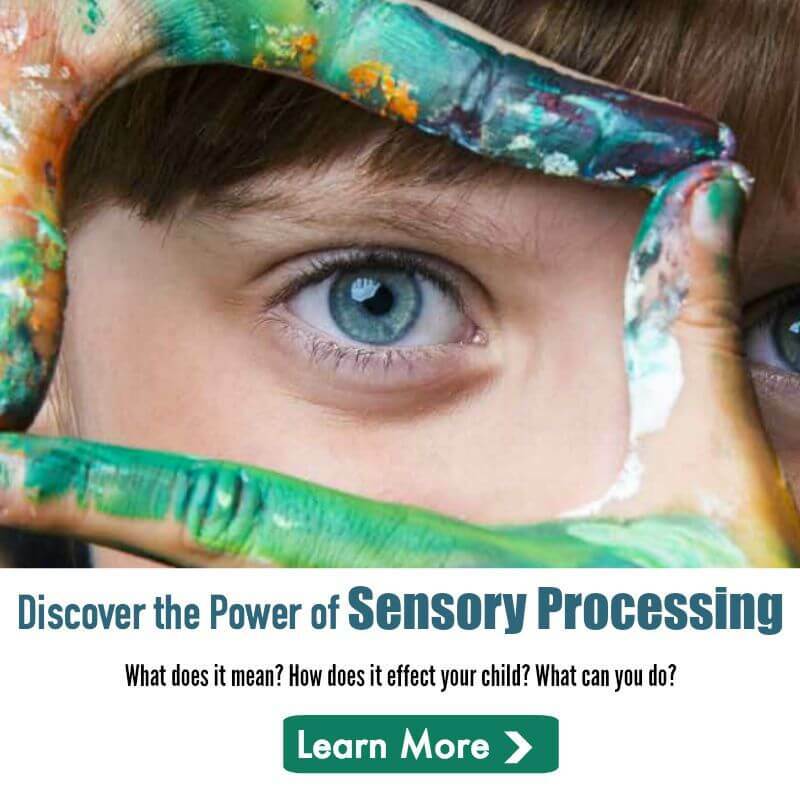 As a Mom with two children with Sensory Processing Disorder (SPD), I was initially exhausted by trying to keep up with the latest information out there. Rather than having to scour the Internet for the latest articles and research, I wanted to create one communal page to post links to research information, news coverage, etc. So I started a simple Facebook page which has exploded into a full website resource for parents with SPD kiddos. Please visit often for updates to my Blog, Book Referrals and Products Ideas. Or sign up for our helpful email round-up, where you can get the latest news, highlighted articles, favorite Pinterest ideas and book recommendations delivered right to your inbox. Sensory Processing Disorder can exist on its own (both my boys have SPD) but is often accompanied by another disorder or learning disability — most commonly Aspergers and Autism. And while children with Aspergers and Autism often fall on the sensory spectrum, kids with SPD don’t necessarily have Aspergers or Autism. You can read my ongoing march as a mom on The Jenny Evolution. 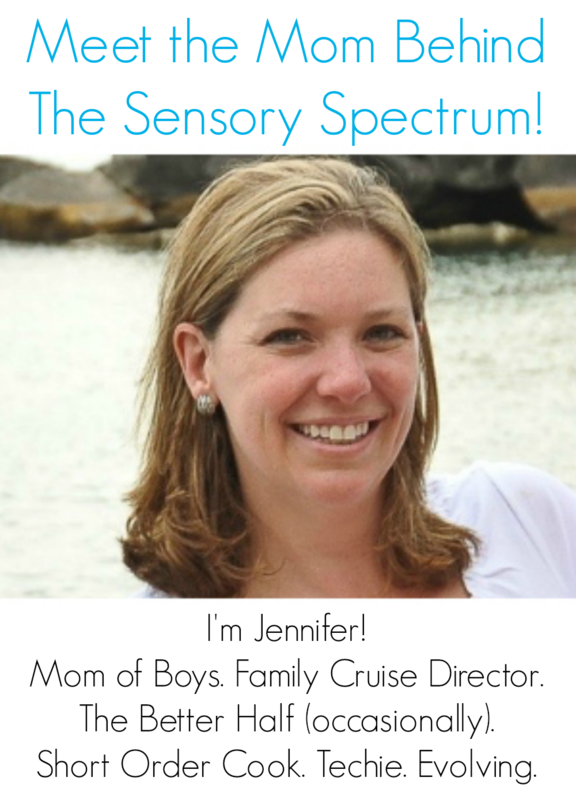 Find The Sensory Spectrum on Facebook, Pinterest and Twitter as well. I am 43 years old. I have autism, and SPD. As an adult, i have learned ways to cope, but how i wish i had been diagnosed as a child! I think about how I felt as a kid, people calling me fussy, and weird, and how hard is was for me to do things that seemed so easy for everyone else. I remember having an internal meltdown when i was 8 because I forgot my gym shoes and the teacher made me wear someone else’s! That was HORRIBLE. As an adult, I can deal much better because I understand my brain. There are a lot of positive things about having autism, but sometimes my SPD can be difficult. Sometimes wearing pants bothers me (the feel of material against my legs) and I look forward to the end of the day when I can take them off. Crowds, loud noises, certain foods, even the feel of my fingernails if they get too long, can really set me off. I think it is great that these kids are being diagnosed and given the tools they need, and I am super happy that parents have the resources available. My son has not been diagnosed with SPD. but I think he has it. What are some things to look for?